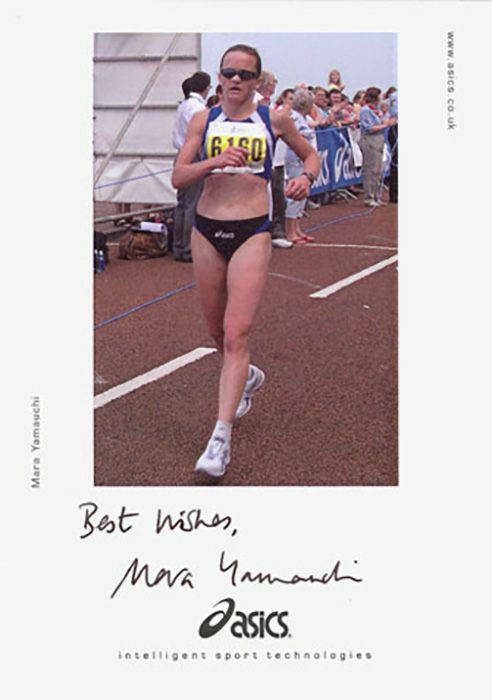 Mara Yamauchi marathon runner signed 6x4 inch promo card. 6x4 inch promo-card personally hand-signed in black sharpie pen by British marathon runner, Mara Yamauchi. Yamauchi holds the second fastest time by a British woman for the marathon behind world-record holder Paula Radcliffe. Yamauchi also won the bronze medal in the 10,000m race at the 2006 Commonwealth Games.